I absolutely agree! Have been saying the same things to anyone who would listen for quite some time! 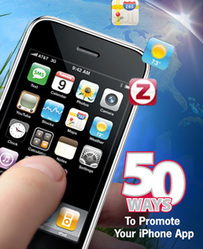 I blog on mobile marketing quite frequently; if I can ever be of assistance, please contact me. Tim, I think you’re right on with your assessment of apps. While iPhone has an inherent appeal that makes it an overnight success, I believe it is the App store and the resultant increased functionality, whether productivity-related or pure entertainment, that really drives iPhone sales. Apps will fuel ever-increasing sales as more apps solve more problems or make lives that much easier driving demand for iPhone (or Blackberry). Consider that in the Chicago area at least, AT&T has fluky service that drive iPhone owners crazy. But the retention rate is still high. Why? You simply can’t get the same functionality elsewhere, a true testament to the power of the App Store. As other smarphone makers adopt this model, we’ll see an explosive growth of smartphone users which in turn will influence how mobile marketers “advertise” to consumers and customers.